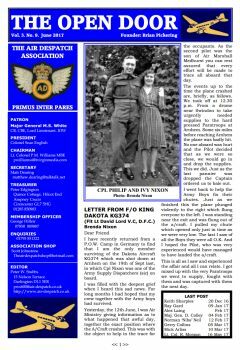 The Open Door is the newsletter of the Air Despatch Association. 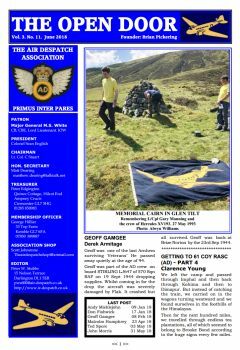 It is delivered to all paid-up and Honorary Members of the Association. It contains AD related correspondence, stories and photos. The e-mail delivered PDF version usully contains additional photos. This version is proving popular with quite a few members. Not only that, it saves a small fortune in printing and p&p costs. Are you getting yours? If not, then join the Association. Please keep me up to date with any e-mail address changes. If you don't, you’re missing out. Some of the stories in this web version contain more information and photographs than the version originally published in the print and PDF ‘Open Door’.